Time trends in measurement of use of health care services. Groups are described in the "Materials and Methods" section. ASMP indicates Asthma Self-Management Program at the University of Alabama at Birmingham. Time trends in measurement of respiratory illness. Groups are described in the "Materials and Methods" section. ASMP indicates Asthma Self-Management Program at the University of Alabama at Birmingham. Asthma Self-management: Do Patient Education Programs Always Have an Impact? Background During the past 15 years, programs to improve self-management practices in adults with asthma have reported improvement in functional status and reduction of inappropriate use of health care services. However, these programs usually represent an ideal approach, applying multiple patient education methods. Consequently, when these programs are found to be efficacious, it is important to replicate the programs as well as to evaluate less complex methods that may be more appropriate for nonacademic health care settings. Methods We compared the following 3 standardized self-management treatments in a randomized, controlled trial: (1) a replication of the self-management program developed at a university medical center that was previously shown to be efficacious; (2) a modified version of this program including only the core elements; and (3) a usual-care program. Outcome measures included medication and inhaler regimen adherence, asthma symptoms, respiratory illness, functional status, and use of health care resources. Results All 3 groups improved on measures of respiratory illnesses, use of health care services, and functional status. Patients in both education groups did no better than the usual-care group. Conclusions The results are inconsistent with the results of the first asthma self-management study at this institution and with those of efficacy studies of similar programs. Two factors, selection of the patient population and historical changes in asthma treatment, most likely contributed to the lack of impact of the self-management programs. As a result of the improved standards for usual care due to both factors, the opportunity to effect patient outcomes was substantially reduced. ENHANCING asthma self-management practices has been widely advocated, and programs to improve such practices have been developed for children1-6 and adults.6-10 In general, these programs have reported improvements in functional status and reduction of inappropriate use of health care services. However, multiple examples are apparent in the evaluation literature where initial reports of program efficacy were not reexamined or where an impact was not observed when the evaluation study was replicated in new samples of patients or settings. Most self-management programs also represent an ideal approach with extensive, multiple-component interventions. Our research study was designed to replicate the efficacy evaluation of the University of Alabama at Birmingham (UAB) Asthma Self-Management Program (ASMP)9,10 and to develop and evaluate the effectiveness of less resource-intensive methods that may be more appropriate for nonacademic health care settings. The following 3 self-management methods were compared in a randomized, controlled trial: (1) a replication of the UAB ASMP; (2) a condensed version of this program including only its core elements; and (3) a usual care control program. Outcome measures included medication and inhaler regimen adherence, asthma symptoms, respiratory illness, functional status, and use of health care services. The UAB ASMP reflected the principles of social cognitive theory and the PRECEDE Model (Predisposing, Reinforcing, Enabling Causes in Education, Diagnosis, and Evaluation) for patient education.6,11-13 It was designed to increase patient cognitive skills, create positive expectations, enhance medication regimen adherence, and help patients develop effective social support. The core component of the ASMP was a skill-oriented self-help workbook.14 Patients were counseled about its use in a one-to-one session and during 2 asthma support group meetings. The workbook included information on physiology of asthma, asthma medications, identification and avoidance of triggers, detection of and response to asthma attacks, and asthma care services. The 1-hour counseling session was conducted by an educator with a master's degree in public health. The session included reviewing the workbook content and skills; identifying personal expectations, asthma triggers, and barriers to adherence; and practicing inhaler use until patients were able to use it correctly. Patients were given peak flow meters and trained to use them for early detection of impending asthma attacks. Asthma support groups, facilitated by a health educator, consisted of 4 to 6 patients with asthma and, if possible, asthma control partners (spouses or close friends). Support group meetings were held once each month, and participants were strongly encouraged to attend at least 1, after their initial counseling session. Many participants came every month. Patients were encouraged to share asthma concerns, discuss adherence problems, and exchange patient-initiated solutions. Patients received 2 telephone calls and a follow-up letter at 1, 2, and 4 weeks, after the counseling session. The first telephone call provided patients an opportunity to discuss problems and the health educator an opportunity to collect baseline peak flow readings and to help patients determine their expected peak flow rates. The letter reinforced actions to take at different levels of peak flow readings. The second telephone call provided closure for the intervention. Overall, the intervention spanned about 6 to 8 weeks for patients. The original UAB evaluation of the efficacy and cost-effectiveness of the UAB ASMP indicated that it was significantly more efficacious than usual-care treatment and education methods.15 The patient education and skills training significantly improved adherence, reduced the severity of asthma symptoms, and reduced the incidence of respiratory illnesses.10 Because the UAB ASMP was labor-intensive, the present UAB patient education research study was created to develop methods likely to be more feasible for routine use in community-based medical care settings. A focus-group study was conducted to identify the core elements of an effective ASMP and to specify standard procedures for implementing self-management programs in nonacademic settings.16 Four focus group sessions included 21 physicians with various medical specialties who provided asthma care for large numbers of adults from diverse socioeconomic backgrounds in north central Alabama. Standard procedures were followed for conducting focus groups and for collecting and analyzing focus group data.16,17 The results suggested that a one-to-one asthma education program provided by a nurse or physician would be the most appropriate format and that no more than 30 minutes be devoted to education in a community-based practice, with 15 minutes being preferable. These physicians believed that a workbook for use in community-based practices must be shorter than that developed for the UAB ASMP.14 Essential components identified included appropriate use of medication, functional abnormalities, and explanation and discussion of issues related to prevention and treatment of symptoms. This focus-group study and previous experience and research in our group9,10 guided the development of the core elements of the ASMP. A revised, shortened workbook was developed18 and given to patients. It was reviewed in a brief (15-20 minutes) one-to-one counseling session. Patients were trained to use inhalers and peak flow meters and rehearsed until these devices were used correctly. A follow-up telephone counseling session was conducted approximately 1 week later to review the patient's medication regimen and inhaler and peak flow meter skills. Two weeks later, a follow-up letter was sent to patients, stressing the importance of adhering to the prescribed regimen and responding immediately to a drop in peak flow rate or other early signs of an attack. Because ethical considerations precluded a placebo control group in which subjects received no asthma-specific education, the control condition involved usual care rather than placebo treatment. The usual-care group, like both other groups, received the education that was the standard practice of their physician. These patients also received a standardized set of pamphlets that contained information about asthma. No steps were taken to ensure that patients read the pamphlets, and no special counseling, support groups, or telephone calls were provided. A 2-year repeated-measures design was used, and data were collected at baseline and at 6-, 12-, 18-, and 24-month follow-up visits. Patients were randomly assigned to the following 3 groups: (1) the UAB ASMP, (2) the UAB core-elements program, or (3) usual care. All follow-up data were collected by staff not involved in providing the interventions and not informed of patients' group assignments. All subjects were patients in the clinics of the UAB Division of Pulmonary and Critical Care Medicine with a primary diagnosis of asthma who met the following diagnostic criteria: (1) recurrent episodes of dyspnea or wheezing, (2) objective evidence of significantly increased resistence to airflow during episodes, (3) objective evidence of improvement in airflow when symptom-free, and (4) moderate to severe (rather than mild) asthma as assessed by their asthma care physician.1 Physicians were asked to classify each patient's asthma by rating the level of their underlying disease, not their status during a particular episode. Previous research has shown that physician ratings on a 3-point scale summarize a wide variety of characteristics pertaining to asthma severity.19 New and current patients were included in the study, although patients who had participated in the earlier self-management study were excluded. The study protocol was approved by UAB Institutional Review Board. Patients were recruited and written informed consent was obtained during a regular UAB pulmonary clinic visit. The objectives and procedures of the study were described by a project staff member who explained that each patient would be randomly assigned to 1 of the 3 educational programs. After receiving an explanation of the study, participants signed an informed consent form, witnessed by a project staff member. More than 95% of the patients contacted signed the informed consent form. Sample sizes for each study group were based on statistical power calculations, using procedures recommended by Cohen.20 The effect size was specified as the average difference between the ASMP and usual-care groups in our original evaluation study.10 This difference was equivalent to a medium-effect size (ES=0.30). We further specified a 3-group comparison, a 2-sided statistical test, a type I error rate of 5%, and a power level of 0.80. However, due to limited concern about the harm of patient education, it was decided that a power of 0.75 was sufficient. This allowed us to recruit enough subjects within the required time-frame and achieve the necessary length of follow-up. The recruitment goal was set at 234 subjects, allowing for 10% attrition. A total of 236 subjects were randomized for a 2-year period from May 1, 1990, to May 31, 1992. The 2-year follow-up data were collected for 221 subjects, with the final follow-up being concluded in June of 1994. The actual attrition rate was 7%. Patients were stratified by asthma severity (moderate or severe) as diagnosed by their UAB pulmonary physician. Patients were randomly assigned to the 3 groups using the closed-envelope technique, using standard computer procedures to create a stratified, blocked randomization schedule. A block size of 6 ensured that 2 of every 6 patients in each stratum were assigned to each group. Immediately following randomization, staff collected baseline data and implemented the designated educational treatment. In the absence of uniformity in medical treatment, it would be impossible to draw valid conclusions about the impact of any effort to improve patient outcomes. The Comprehensive Adult Asthma Program was established at UAB to ensure the use of standard protocols for the treatment of patients with various levels of asthma severity, in accordance with the recommendations of the National Institutes of Health panel of Asthma Diagnosis and Management.21 All patients who participated were provided medical care conforming to the protocols by a board-certified pulmonary specialist. Thus, our study was an evaluation of the impact of self-management programs as part of standardized patient care. Six outcome measures, assessed at baseline and at each follow-up, were included in our analyses.22-24 Two measures addressed adherence to recommended regimens and were assessed by two 4-item self-reports.22 These scales were based on the prototype self-report scale described by Morisky et al25 but were modified to be more applicable to asthma. The psychometric characteristics of the asthma therapy adherence scales were good to excellent.22 Adherence was analyzed in terms of the percentage of subjects with the highest possible scores on these scales. The other 4 outcome measures addressed asthma status, ie, the impact of asthma on respiratory symptoms and illnesses, functional status, and use of health care services. Two scales assessed the severity of asthma symptoms in the past 7 days and the number of respiratory illnesses in the past 3 months.23 The functional impairment scale assessed the extent to which asthma had a negative impact on daily activities in the past 3 months.24 The scale for measurement of use of health care services10 classified patients as users if they had visited an emergency department for asthma and/or been hospitalized for asthma within the past 6 months. Other patients were classified as nonusers. These measures also analyzed the percentage of subjects who obtained the highest possible score as users. An observational checklist measured inhaler use skills26,27 at baseline, but more than half the follow-up interviews were conducted by telephone rather than face-to-face. Since no observational data were available from telephone interviews, this variable was not included in the longitudinal data analysis. Results for the small percentage of subjects with observational data for inhaler use skills did not form any interpretable pattern. Descriptive statistics were computed for each background variable and for each outcome variable at baseline and at each follow-up visit.28 Differences among the 3 groups on the background variables were tested for significance using the χ2 statistic. The outcome measures were classified into dichotomous variables and analyzed using Generalized Estimating Equations modeling.29-31 The data were analyzed in terms of relative risks and 95% confidence intervals. All relative risks were computed relative to baseline data for the same variable in the usual-care group. A relative risk of 1.0 corresponds to the null hypothesis of no difference from usual-care baseline data. The impact of the self-management and usual-care programs were examined in terms of program time-point interactions. Background and time-point data were included in the analysis for each outcome measure, so the analyses yielded relative risks adjusted for the influence of other relevant variables. The follow-up results were adjusted for baseline status on the same variable. The data for the relationship of background characteristics to outcomes and time trends are presented separately from data for the impact of the self-management and core-elements programs. However, the results for each outcome measure came from a single overall multivariate analysis of all variables. Statistical Analysis System programs32 were used in all data analysis. The randomization procedure produced 3 groups with comparable demographic characteristics (Table 1). These patient characteristics were consistent with those in previous studies of patients with asthma served by UAB.33 The predominance of female patients reflects the epidemiological base rate for adults with asthma.34 The racial distribution reflects that of the Birmingham metropolitan area. The proportion of high school graduates was higher than that of the general Alabama population but was typical for UAB patients. Descriptive statistics for the adherence and asthma status measures are presented in Table 2. Favorable outcomes are indicated by an increase in time on the adherence measures and by a decrease in time on the asthma status measures. The results indicated a small overall trend for patients in all 3 groups in improving adherence to their medication regimens and a stronger trend in all 3 groups in improving their asthma status. There is little indication of any consistent pattern of differences among the 3 groups. Neither asthma self-management program was superior to usual care. The multivariate analyses of baseline differences in adherence outcomes and relationships to background characteristics are summarized in Table 3; asthma status measures are given in Table 4. Older patients were more adherent to their medication and inhaler regimens, and patients with severe asthma were more adherent to their inhaler regimens. African Americans were less adherent to medication regimens, and smokers were less adherent to inhaler regimens. Asthma status measures were highest and more adverse for African Americans, for smokers, and for patients with severe asthma. These results were consistent with expectations and with research indicating that asthma prevalence and incidence of asthma-related mortality are increasing among African Americans.35-37 These results indicate that with regard to functional impairment, the core-elements group had a higher proportion experiencing functional impairment relative to the usual-care group. This difference was not observable at the 6-month evaluations. The multivariate analyses of the impact of both asthma self-management programs are shown in Table 5 and Table 6. No differential impact of these programs was found. Patients in the groups receiving the educational programs did no better than patients in the usual-care group. The multivariate analyses of time trends failed to confirm an overall improvement in adherence or symptoms, but confirmed overall improvement on the measures of respiratory illnesses and use of health care services (Figure 1 and Figure 2). The same trend to a lesser degree was observed for the functional status measure. The results of this study are inconsistent with the results of the first asthma self-management study from our group9,10 and with efficacy studies of similar programs.1,4,6,12,20,27,28,33,34,37,38 Both study interventions were based on appropriate behavioral theory,25,34 were specifically tailored to asthma, and were similar in content to other self-management programs. Whereas our ASMP may be ineffective, we believe that due to the strong results of the first study and the abundance of literature indicating that such programs are effective, this explanation is unlikely. It appears that 2 factors contribute to the lack of impact of our ASMP. First, the disparate results between the first study from our group9,10 and our present study are most likely due to a historical change in routine patient education at UAB. As noted, all subjects routinely received patient education from physicians or nurses in addition to the patient education intervention provided by this study. The results of the first asthma study were extensively reported to pulmonary physicians at UAB. Many have changed their practices to include more emphasis on asthma self-management education. Baseline data for our present study support this premise. The medication and adherence scales should be quite responsive to self-management education. They were indeed responsive in the first study. When scales from both studies are compared (Table 7), baseline adherence was significantly higher at the onset of our present study than follow-up adherence at the end of the first study, ie, patient adherence was already high at the onset of our present study. Therefore, there was no opportunity for improvement in adherence. If the standard care provided by UAB pulmonary specialists incorporated the self-management education and skills found to be effective in the first study, then our usual-care group was not actually a control group. This salient historical effect could account for the lack of differences seen between the usual-care and educational groups and highlight the need for proper selection of patient populations. Second, historical changes in standards of care for patients with asthma may also be relevant. National and local changes in the pharmacological treatment of asthma have had a great impact on the quality of care. This most likely had an impact on the outcomes we measured. At the beginning of the present study, the new asthma guidelines of the National Heart, Lung, and Blood Institute were introduced and incorporated into the UAB standard of care.21 Based on the current understanding of asthma as a disease of airway inflammation, a key element in the new clinical practice standards is the use of inhaled steroids as a regular preventive treatment. This method of treatment is a more effective therapy than the combination of oral and inhaled bronchodilators that was the standard when the first UAB asthma self-management study was conducted. These new standards were incorporated into the UAB standardized asthma care protocols in 1991-1992. Although we do not have data to support this hypothesis, it is our clinical impression that patients in the first study used corticosteroids for short periods, whereas 60% of patients in our present study were using inhaled steroids as regular preventive therapy as recommended by the guidelines. When patients receive state-of-the-art therapy, including inhaled corticosteroids, self-management education programs are less likely to have an impact on measures of respiratory illness, use of health care services, and functional status. This is particularly likely when inhaled steroids are given with training in inhaler use and compliance enhancement techniques. If this is a valid conclusion, then efforts to improve asthma care should emphasize physician education about the importance of this component of care. Patient education should focus on inhaler use skills and the importance of medication adherence. 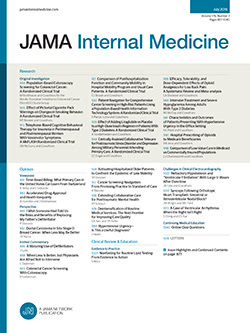 The implications of this study suggest that when state-of-the-art care, as defined by the 1991 asthma guidelines,21 is provided by specialist physicians who are knowledgeable about self-management techniques, an extra patient education component may not be necessary. Our study demonstrates why it is essential to replicate evaluations of methods and results of innovative programs among special population samples before conclusions can be made about their effectiveness. The critical importance of such replications should be recognized in the priorities of funding agencies and the policies of peer-reviewed journals. The populations in which to replicate studies need to be chosen carefully, matching interventions to patient characteristics. Patient populations that are receiving state-of-the-art medical care may not benefit from these innovative programs. This study was supported by grant R01-HL 31481 from the National Heart, Lung, and Blood Institute, Washington, DC. We thank Carol C. Crisp, Susan L. Davies, PhD, and Nadia S. Siegel, MS, for their contributions in implementing the self-management education programs, and Irene Lynn and Karzetta Bester for manuscript preparation. Corresponding author: William C. Bailey, MD, Lung Health Center, University of Alabama at Birmingham, 620 S 20th St, NHB 104, Birmingham, AL 35233-7337 (e-mail: wcbailey@uab.edu).